Shri Mysore L Vadiraj, born in the year 1985 in Mysore. He initially began Mridangam training under Mridangam maestro, Karnataka Kalashree Shri PG Lakshminarayana of Mysore, who was a staff artiste of All India Radio, Mysore & foremost exponent in mridangam. He learnt all the nuinances of Mridangam in Gurukulavasam for about 8yrs. As a young mridangist, he won a number of prizes in all the sabhas in Karnataka. Soon he started performing in many percussion ensembles with the direction of guru shri PGL. After the sudden demise of Shri PGL, he received further training from Vidwan Bangalore Shri H.S Sudhindra. Later he joined his dream player, World renowned Mridangam Maestro Shri Thiruvarur Bakthavatsalam in 2010. In 2012, He moved to chennai, the cultural hub of Carnatic Music to pursue advance training with the maestro in a traditional gurukula system. And very soon he started performing widely in all prestigious sabhas and organizations. Due to his exceptional talent, his nada sowkya & Krithi oriented style of accompanying, he won the hearts of senior musicians & Rasikas. He has also toured abroad for many concerts & workshops. Very Recently He has participated in “counterflows Music festival 2017” in Glasgow, Scotland with ace violinist M Nandini, Dr Shobana Swaminathan, Nakul Krishnamurthy & western Musicians Mark Fell, Rian Treanor, Cello player Sandro Mussida. & also Played numerous concerts in Edinburgh. He has also played Various patriotic & popular songs on Mridangam Tarang, Which is famous among Rasikas & also in social media. 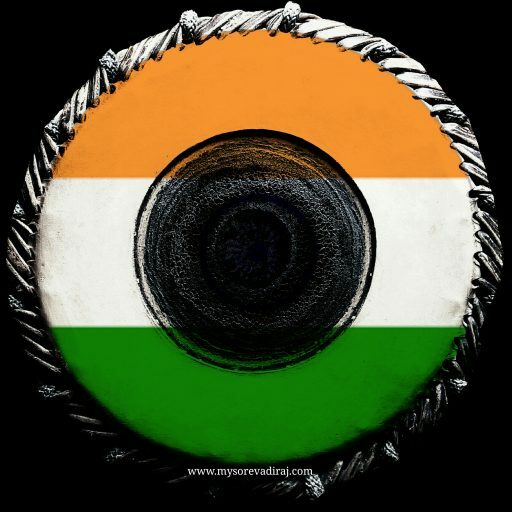 His Popular mridangam Tarang “Jana Gana Mana National Anthem of India” has acclaimed huge fan following throughout the world. Mysore vadiraj experimented all these songs first time on mridangam. Prestigious Ensembles: He has also participated in “Laya Madhura Mridanga yagna – Featuring of 108 mridangam artistes” in mysore under the direction of his guru Shri Thiruvarur Bakthavatsalam. And also he was one among the 20 mridangam players who took part in another ” Laya Madhuraa Mridanga Yagna – a special concert consisting of 20 mridangam artistes including his guru Shri Thiruvarur Bakthavatsalam in the year 2015. He has received many Honors & awards from various sabhas across India. * Best Mridangam artiste from Nada Bramha Sangeetha Sabha, Mysore. Ramabhadran) from Shri Krishna Gana Sabha, Chennai. Shri Sankara Channel in 2014. Academy in 2006. & So on. He also trains numerous students in Mridangam & other carnatic percussion instruments world wide through online media & also has branches in chennai & Mysore. Many Students from Maryland, Atlanta,Chile, Portland,Boston,Massachusetts, Charlotte, Pittsburg, UK, Singapore, Malaysia are learning Mridangam, Konnakol & other instruments from him. Mridangam is a Nada Vadya, Carnatic percussion creatively combines the underlying mathematics of Rhythm with the Naada Sowkhya & Expression of an artist is only through his instrument. Vidwan Mysore L Vadiraj is a prominent teacher of Percussion with over ten years of experience in training students, He stresses both on the technique and the theory with a special emphasis of Naada Sowkyha on performance. Contributions: Mysore Vadiraj has developed few Mobile Apps to help Music Students to get mastery over Laya (RHYTHM) & to provide information about Mridangam. 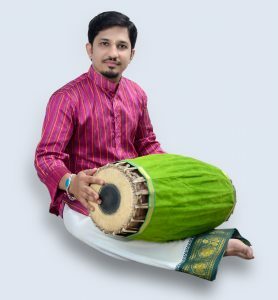 He has developed an Application called “Layam-Carnatic Metronome”, This app is first of its kind incarnatic music arena which helps musicians & students to practice with original & authenticated Mridangam Nadais with different tempos & shruthi which enables students tosing or play easily. also he has developed another app “Online Mridangam Class” to help mridangam students to know about mridangam & its nuiances.